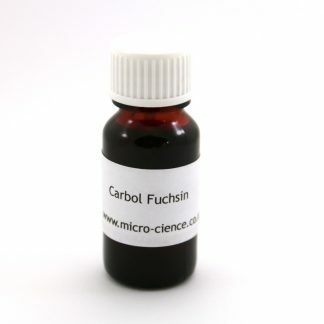 This is a stock solution which can be diluted to give a working solution which will last a few weeks. 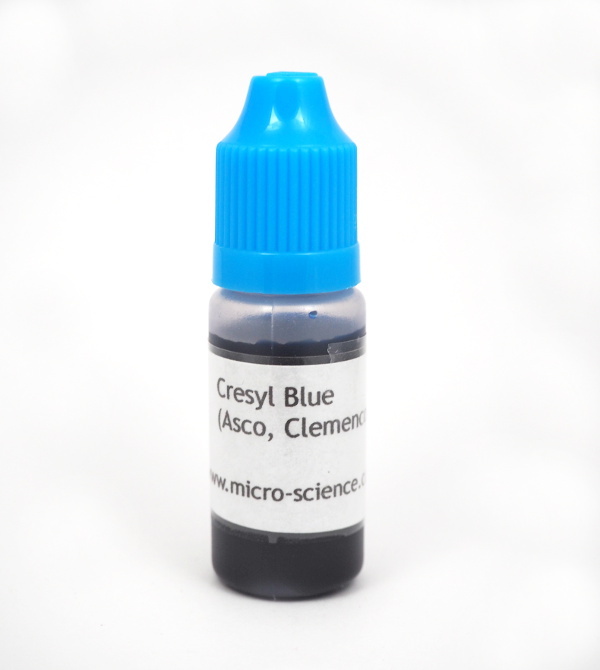 3-5 drops of stock solution can be added to 1mL of diluent (ideally water/20% glycerol). 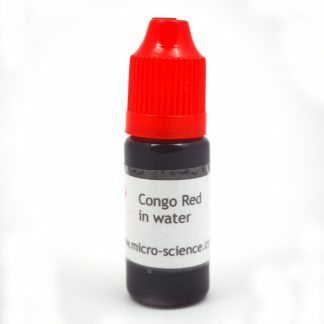 Soak sample in working solution for 4-5 minutes then apply a cover slip and squash. 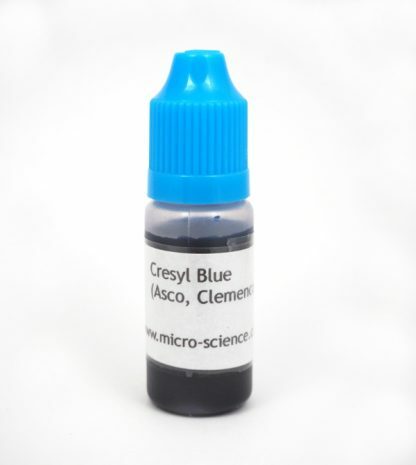 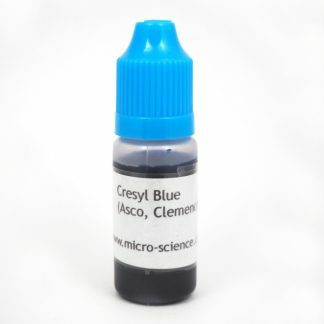 This solution contains a lower concentration of Cresyl Blue than the Buyck formula (longer staining times are needed but the prepartion is cleaner). 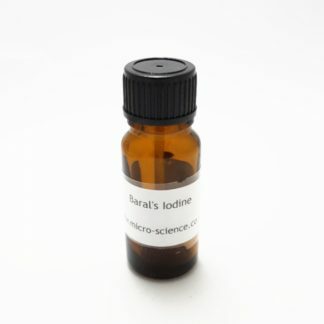 Also contains cellusolve.